Today we're announcing the official release of text templates. With this new text feature, users will be able to deliver more effective messages using personalized fields like first name, last name, and notes. When you create a template, you are creating a saved message that you can reuse later without having to retype, or copy and paste, the message again. Read on, and I'll show you how to use templates for appointment reminders, saved replies, and even signatures. Research shows that text messages with personalization can yield a 4%-12% better response rate to your message. If you're looking to fill a job or shift quickly, get more responses to payment reminders, or even ensure more members of your congregation read a daily devotional - personalizing your message is the key. When you personalize a message, you are inserting custom fields into your text that automatically fill in with a contact's info. 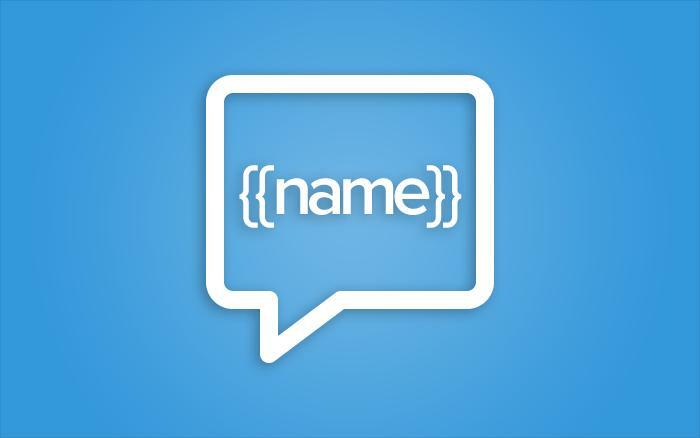 In this first phase, we're allowing you to insert First Name, Last Name, and Notes into messages. To get started, begin with your contacts. There are two ways that most users add contacts to a text broadcast. Either by storing contacts in our system, or uploading a list of contacts at the time the broadcast is created. If you want to personalize text messages, you'll need to make sure the fields you want to use are updated in the Contacts section or in the file you are going to upload. If you don't see a column appear after your file loads, select the modify link to map your columns. Have you ever wanted to reuse a text message you've sent out before? Or include a custom signature on your messages? What about selecting a pre-existing message like in the audio library? Templates are going to help you with all of this, and you'll be able to personalize your template messages also. Text templates allow you to create and share stored text messages so you can reuse a text message at any time. If you are a master account holder, you'll also be able to share your templates with your other users when creating a template. If you are not the master account holder, you will not be able to share messages and will need to ask the master user to share it for you. To get started, you'll want to select 'Use Template' when composing your message. This section is where you can access existing template messages or create new templates. You can also edit a template before adding it to your text broadcast. Once you have added your text template, you can edit the body of the text. For now, you can only personalize messages and access text templates when in Create Broadcast. However, we're already working on additional enhancements which include other custom personalized fields, converting the audio library to a message library, and the ability to use templates and personalized fields in Conversations. You should expect these improvements in early Q1 2019. Here are some different ways you might find using templates and personalization helpful. These are just a few of the ways you can immediately start using templates and personalized messages. 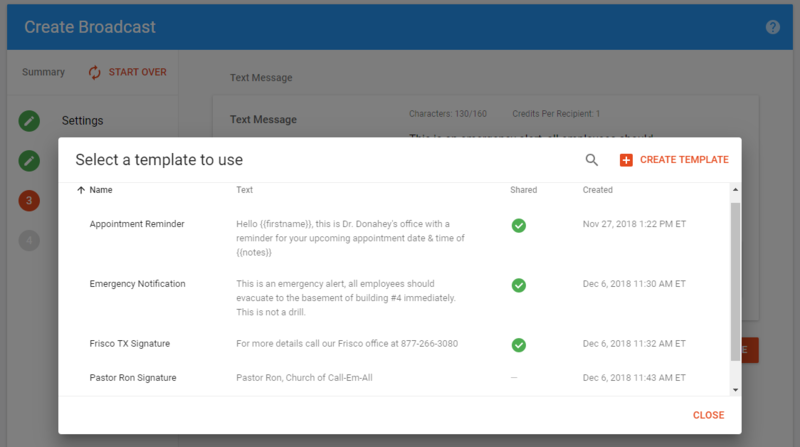 Here's a clip showing how you can use these new features to create appointment reminders. Templates, personalization, and signatures have been some of our most requested features, and we're excited to hear your feedback so we can continue to improve upon it. Let us know what you think in the comment section below or don't hesitate to reach out to our Customer Experience team.